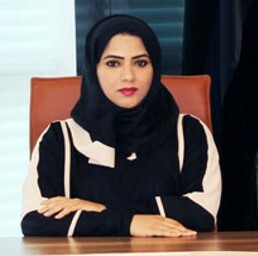 Fatima Al-Foora Al Shamsi is the Assistant Undersecretary for Electricity and Future Energy in the United Arab Emirates Ministry of Energy and Industry. A passionate, futuristic and strategic thinker leader with a long track record of successfully senior management role with a rich background ranging from electrical engineering, renewables, Water, Business Development and project management. Fatima is educated to a very high level, she graduated from the United Arab Emirates University with an honors degree of BS in electronics engineering, add to that she holds an honors degree MBA in Financial Management, She is member of the UAE Board of Climate Change& Environment, member of UAE SDG’s committee, member of the board of directors of Emirate authority for standardization & metrology, Head of the Emirates National Grid planning and operation committee. She succeeded to lead the team developing UAE energy strategy 2050, the UAE water security strategy 2050, is leading all activity related to energy security & future of energy, energy and water productivity, electricity& energy market, power and water regulations & supervision, in the Ministry of Energy and Industry, and before that she worked as the Vice President of the Privatization and Business Development in Dubai Electricity and Water Authority, and as the Executive Director for Electricity in the Federal Electricity & Water Authority.